Shirts With Random Triangles: Former Texas OL Jake Raulerson Accepted To Arkansas As A Graduate Transfer. 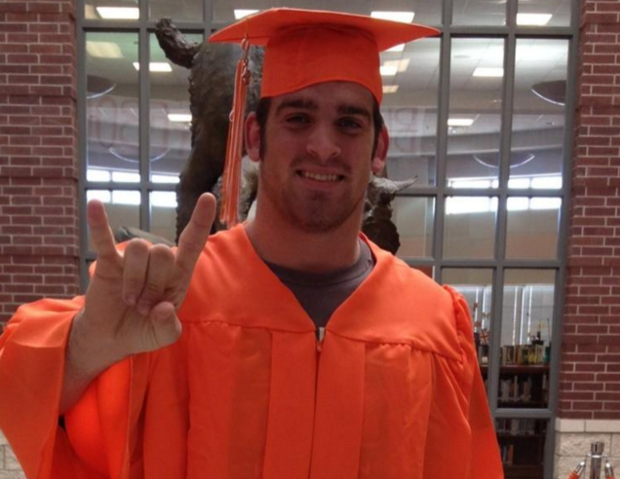 Former Texas OL Jake Raulerson Accepted To Arkansas As A Graduate Transfer. Jake Raulerson. Image via oregonlive.com. Former Texas offensive lineman Jake Raulerson has found a new school. Raulerson, who recently earned his degree from Texas, announced Thursday that he has been accepted to Arkansas as a graduate transfer. Raulerson announced that he was going to transfer following graduation from Texas last December. He will be eligible to play in the 2016 college football season as a graduate transfer. Texas Lands Former Baylor Signee Devin Duvernay. Alabama Safety Shawn Burgess-Becker Transferring. Big 12 Championship To Return In 2017. Kennith Starr Is An Ex-Chancellor Of Baylor.